“If you’re a business now thinking no-deal was off the table,” Wednesday’s events “will be a bit of a shocker,” said Mats Persson, head of Brexit strategy at EY in London. By all objective standards, Bercow has been a poor speaker of the Commons. What you perhaps don’t know is that is testimony to the chilling effect of laid-back liberalism. Bercow has had an easy ride because he’s biased against a government so incompetent that if it were a “Carry-On” film, you wouldn’t want it to end. But it isn’t and most people want it to end as swiftly as possible. Thus, his devastating “pronunciamento” against the prime minister this week has proved wildly popular on the simple basis that anything which devastates this government must be right. But it is wrong. Britain famously lives in the past, but basing parliamentary maneuvers on a 1604 precedent last used in 1920 is comedy gold but not 21st century governance. Even Jacob Rees-Mogg wasn’t around in 1604 (though he may have voted ‘against’ in the 1920 debate). It’s simply not true that no matter can be brought back in the same form, in the same parliamentary session. If it were, Mrs. May would not have suffered her second defeat on her Brexit plan. Not having a constitution, as Britain doesn’t, has at least the compensation of flexibility, of adapting to new situations. Of not being hidebound. 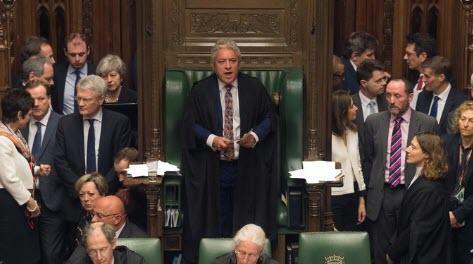 Speaker Bercow just bound Mrs. May’s hide like it was 1599. Because there was a new situation. Very new. Since her second defeat, parliament had taken ‘no deal’ off the table and sought an extension to Article 50, thus postponing Brexit. That’s pretty big news. 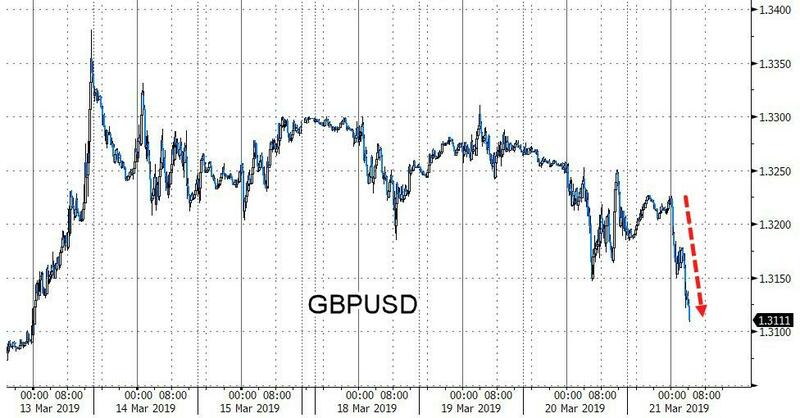 Moreover, and consequently, May’s Brexit deal now has a 50/50 chance of going through. That’s a new situation alright! Having stared down the barrel of no Brexit at all, both the DUP allies and the ERG enemy within her party were beginning to decamp back under her tent. It cannot be right that one single man can pervert the course of governance on an entirely bogus basis when that man cannot be removed and doesn’t seek election. The English fought a Civil War over that kind of thing not that long after 1604 and long before 1920. It ended with the parting of the king’s head from his shoulders.